The LED Sirolo is a cool to the touch versatile accent floor washer light, providing a warm 2700 Kelvin shaft of directed light. It can be used as a step and floor washer or used upside down as an uplight throughout both the contemporary and traditional home or garden. The Sirolo is IP66 rated as standard so can be safely used in wet areas such as bathrooms or outdoors. 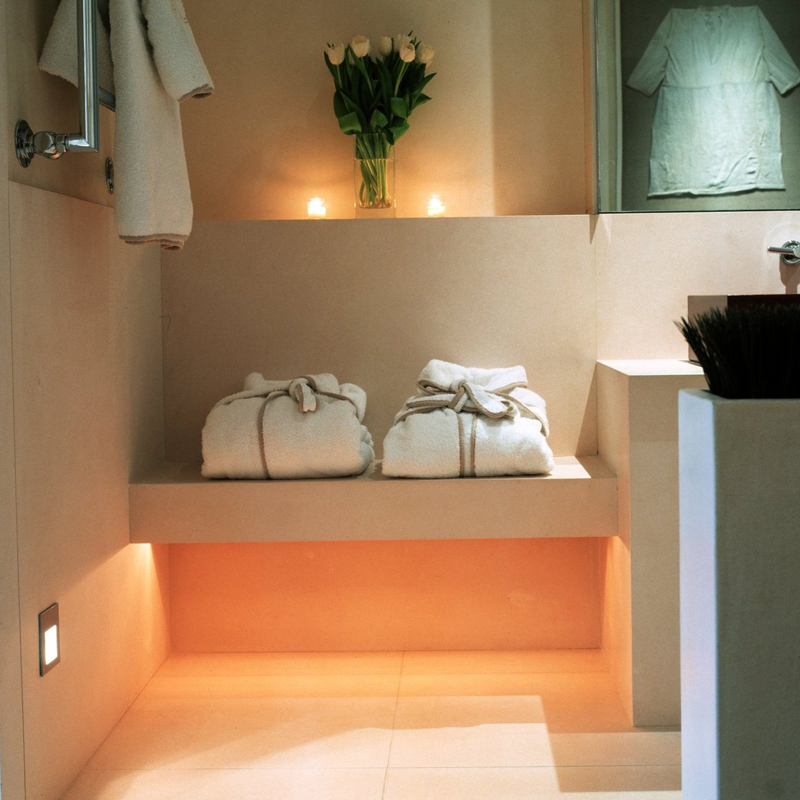 When adding layers of light to a space, they make an ideal solution. This energy efficient LED fitting also runs at an incredibly low 1w, saving money on your energy bills. 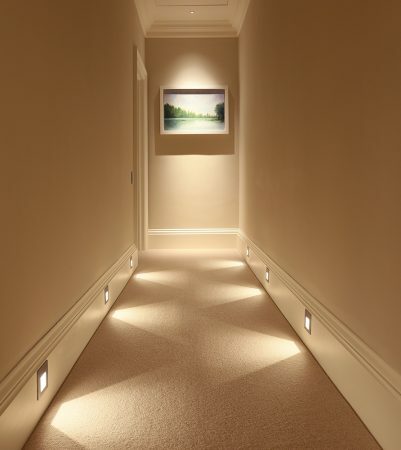 Add another dimension to a corridor by adding Sirolo floor washer light at low level to wash light across the floor. Combine with LED Polespring downlights to light artwork and flowers. 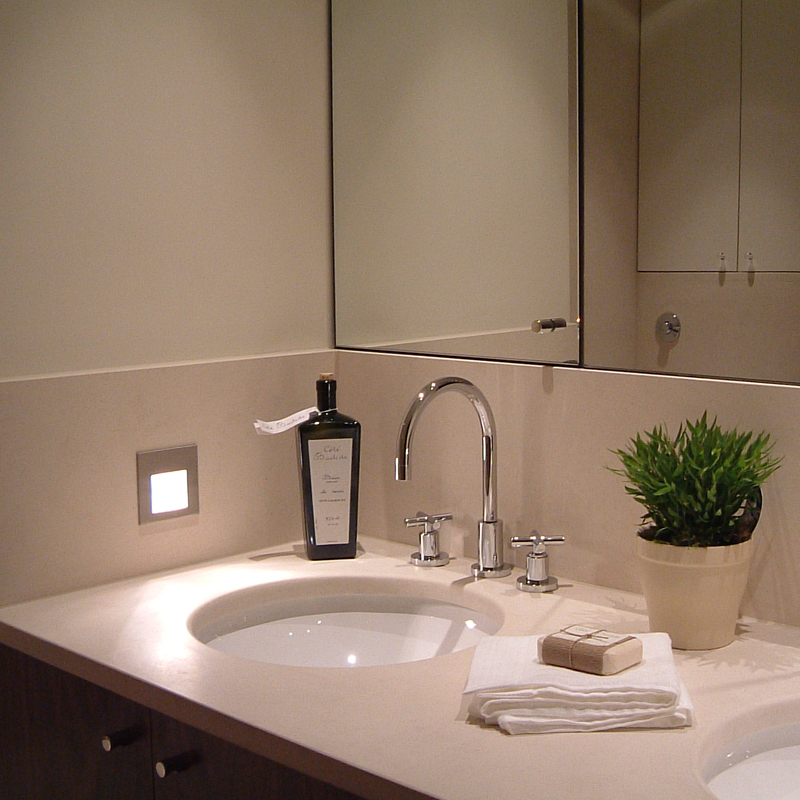 Place two 1w Sirolos either side of your basins to wash light across the vanity unit. Use in conjunction with hanging pendants such as the Grissini or Penne or LED Waterspirng downlights for ideal lighting to the face. Consider turning the Sirolo upside down and using it as an uplight. 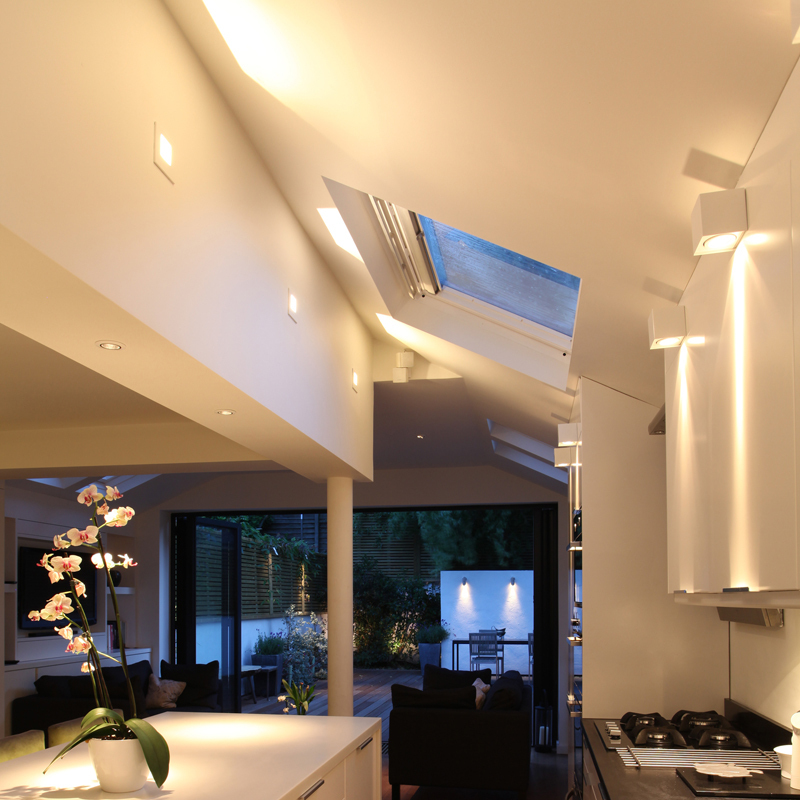 This is ideal in areas that are tricky to light such as this kitchen side extension. When visiting the bathroom in the middle of the night, have a Sirolo floor washer light come on with a PIR (presence detector) creating an ideal low level of light. 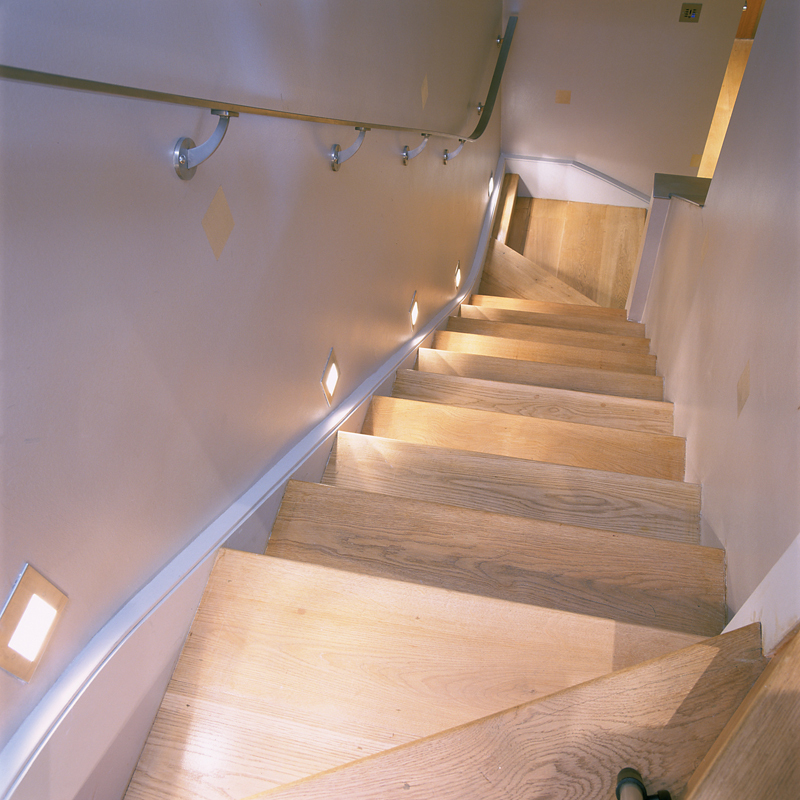 Use Sirolo floor washers to light every third thread to this basement – an ideal solution when they are too narrow for wall lights or if there is a sloping ceiling above. 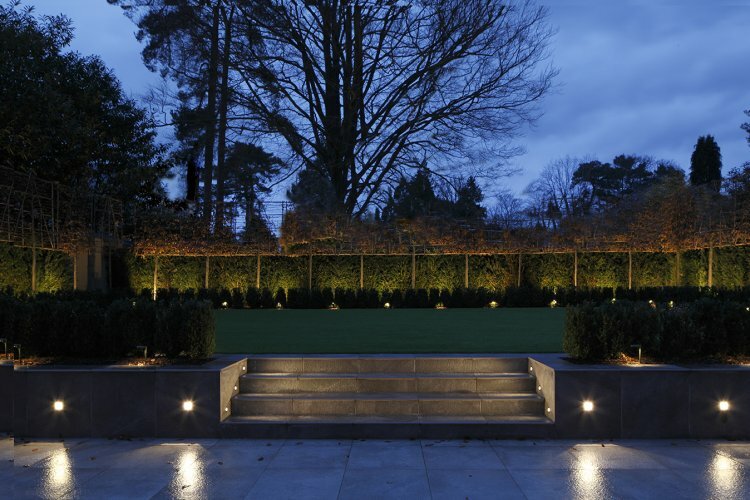 Being IP66 rated, Sirolos can be used outdoors and are ideal lights to provide low level lighting on a terrace, steps or path in your garden. For more inspirational lighting ideas, visit the Project Showcase or visit our inspirational lighting showroom. For the full product details on the Sirolo, click here.